If you’ve been in one of my training sessions, you’ll remember my methodology of beginning with the end in mind – in targeting the last mechanical device that will display / project our work and the environment in which our work will be perceived (court room / office / billboard / etc.). 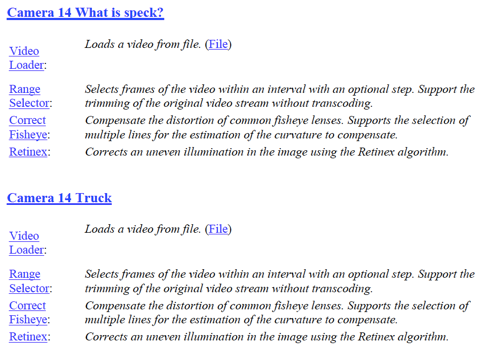 Sure, I could use the PDF/E container and embed a ton of really cool video and graphics. But, if my target doesn’t support that, I’ll leave the recipient frustrated … and I’ll end up looking a bit foolish. We help you avoid the frustration with our standards-compliant reporting tool. 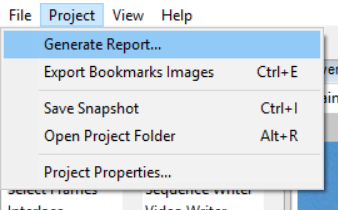 Remember, our reporting function automatically compiles steps / settings and generates the report on demand. The comprehensive nature of the reports help you comply with ASTM 2825-12’s requirements that your report contains information sufficient such that a similarly trained and equipped person could reproduce your results. The plain English explanations in the report help you in your testimony. What does the Retinex filter do? Just read the report – it corrects uneven illumination in the image. 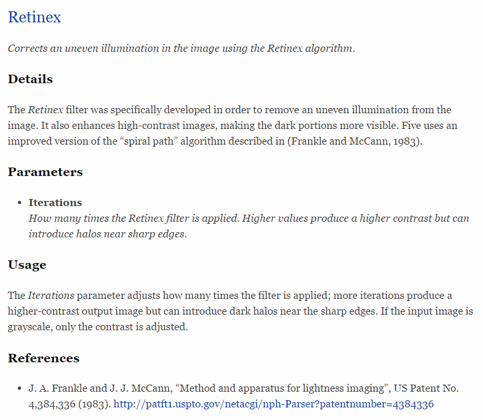 How does the Retinex algorithm work? The Retinex filter enhances high-contrast images by making the dark portions more visible. The parameters are there. The peer-reviewed / published sources are there. All in a standards-compliant PDF/A container. Think about the time you will save by not having to keep track this information yourself. Think about the time you will save by not having to type this information into the report yourself. Think about the recipient of your work who will be able to open and read your report with ease. Why not choose a tool and a workflow that respects standards, respects budgets, and respects you / your time? If you’d like to know more about our products and training, click here to contact us today.